A website, or individual web page, can be static or dynamic. ... A dynamic website can contain client-side scripting or server-side scripting to generate the changing content, or a combination of both scripting types. These sites also include HTML programming for the basic structure. Glorious Software, Dynamic Website Designing Company helps to meet all the requirements for each client. Our designers and web architects has a good hand in creating required features from scratch or integrating third party products to existing websites. Whether it can be real time transaction processing, shopping carts, online catalogs, online databases or many more. We specialize in all kind of Dynamic Website Designing using .net technologies. 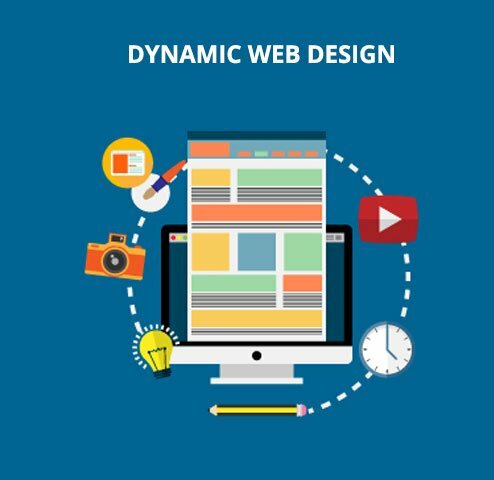 Using our Dynamic Website Designing Services, you can easily maintain or even upgrade the website with new products or whatever information required. This may also not required any deep technical knowledge. The administrative functions which we use will make it much easier for you. We provide easy and fast databases in our dynamic websites. Using advanced concepts, our designers develop a dynamic website that will help your business succeed. Our Website Designing Portfolio can explain how easily our works have made us a reputed dynamic website designing company. We are renowned as prompt growing website designing company that gears to accelerate with the facilitation of our experienced group.